Theresa May Isn’t Strong, She’s Cowardly, Evasive And Weak – And I’m A Tory! As a member of the Conservative Party, I am horrified with the dishonest and manipulative way in which Theresa May is running her election campaign. She was a terrible Home Secretary with an appalling record of failure in every policy area. However, I accept that she was the inevitable choice for leader when both Boris and Michael Gove bottled out. Also, as I’ve written before, we needed someone stubborn, obstinate, pig-headed, intransigent and incapable of listening to get Article 50 triggered in the face of the anti-democratic Remaniacs. She did a good job of that but now we need a real leader, someone who can actually implement her empty words about a “country that works for everyone” – which Ms May neither really means nor is she even capable of achieving. Her refusal to engage in any proper debate is pathetic and brings shame on the Conservative Party. Her bluster, barking and abusive style at PMQs is nothing to do with debate and not only is she refusing to take part in any TV debates but she’s avoiding any contact at all with real voters. It’s quite clear why – she’s an intolerant, abrasive and charmless person who really can’t deal with any dissent or disagreement. Her conduct in the Home Office where she ruled with an iron fist and micro-managed everything demonstrates this. It’s not ‘strong’ to evade debate, to silence your opponents and to use government authority, power and facilities to undermine them. In fact, on this last point, it’s probably unlawful as a misuse of government resources. 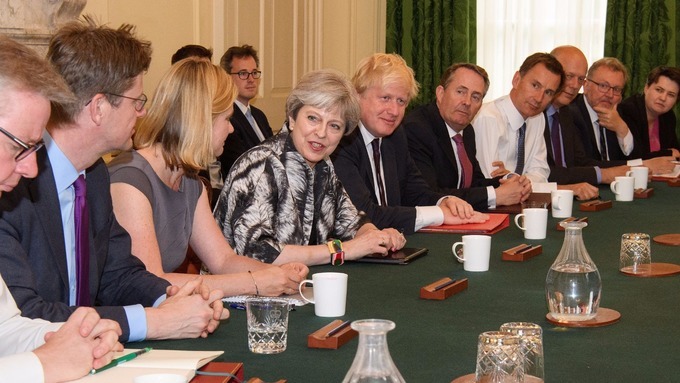 It’s ironic but also prescient that it was Ms May who named the Tories “the nasty party”, for that is exactly what she has achieved. I’m also reminded of Ann Widdecombe’s remark about Michael Howard, “there is something of the night about him”. This catches the spirit of Ms May very well. I find her sinister, threatening and spiteful. She’s clearly had intensive media training as Margaret Thatcher did but it hasn’t made her more appealing. True she seems to have controlled that dreadful sideways movement of her jaw and some of her worst gurning but her recent pitches to camera are nauseating: patently insincere, contrived and awkward. The entire basis for this election is dishonest. 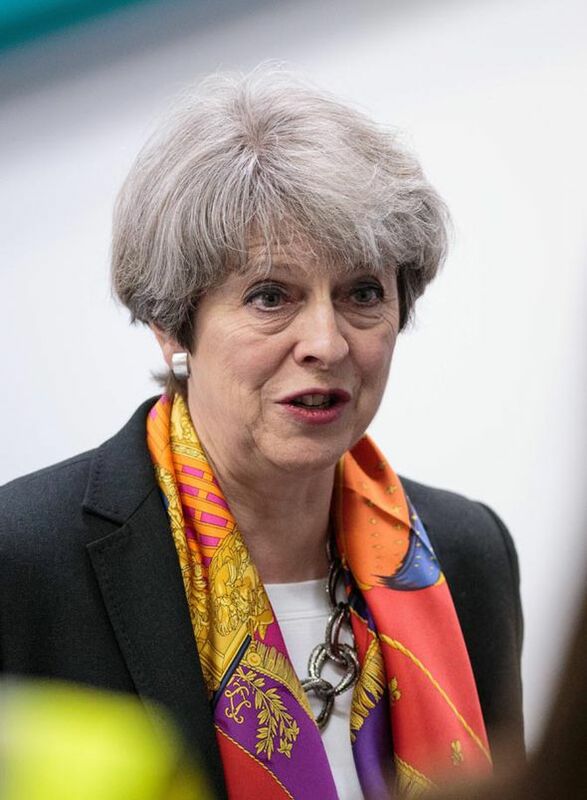 As PM, Ms May already has an indisputable mandate based on the EU referendum, endorsed by several votes in Parliament and by the European Union (Notification of Withdrawal) Act 2017. It is utter nonsense to suggest that the result of this election will strengthen her hand. The only reason she has called it is political opportunism and why you can’t really blame her for that, as a Tory I object to her seeking to create a what is effectively a dictatorship. I even have concerns that the real reason she wants this personal mandate is so that she can start to reverse the UK towards her personal position as a Remainer. She may choose to accept a far softer Brexit than we voted for and with a big majority there is nothing we will be able to do about it. Never forget, the political class, the Westminster ‘elite’ are in despair at losing their long-term retirement/second career/super pension plan arrangements. The EU offered them all a permanent role with a lavish, protected lifestyle funded by taxpayers. They desperately want it back. I cannot vote to support Theresa May. I will remain a member of the Conservative Party because its fundamental principles of individual liberty, responsibility and small government are what I believe in. I may well be on the liberal, even libertarian wing of the party but it is Theresa May who is out of step, not me. Her leadership is cowardly, evasive and weak. I shall either be abstaining or voting tactically and that could even mean that I vote Labour for the first time in my life. Why Vote Leave Was Right For Great Britain. Whining remainers never have and never will get it. It’s about something much bigger and more profound than immigration or the economy. Britain is a great nation. Through history we have led the world and we continue to do so, punching far above our weight, achieving results that no other country on our planet is capable of. The pages of the Guardian and the Independent are still littered with complaining remainers. Social media is full of abuse for those of us who made the right choice. We are told we are “dumb”, “stupid”, “ignorant”, “racist” and every other insult that sore losers can summon. It’s the small-minded nature of the complaining remainers, their focus on the mundane when it was our independence and self-determination that was at stake. Vision and ambition is what makes us who we are, not cynicism and fear. Yet the evidence is clear. Not just in sport but in every field of human endeavour, Britain is great, disproportionately so for our population and our natural resources -except for the most vital resource of all – the unique courage, determination and spirit of our people. Many remainers still refuse to accept the referendum result. Their bitterness, their enthusiasm for every negative economic indicator and their faux ‘I told you so’ complaints will soon wither. These spiteful, negative ideas will fade into obscurity as our natural qualities of leadership and success take over. Britain is great. What our athletes have achieved in Rio is what we should all aspire to and is our proper place in the world. After A Vote For Brexit We Cannot Have A Remainer For PM. It’s obvious isn’t it? It would be an insult to the electorate and a subversion of the democratic vote if our new PM was not a committed supporter of Brexit. The most disastrous choice the Tory party could make would be Theresa May. Not only is she a remainer who hid away during the referendum campaign and didn’t have the courage to stand up even for her own side, she is also a deeply divisive figure. All Home Secretaries are unpopular but few are reviled like Theresa May. She is intolerant, authoritarian, illiberal (some Tories might like that but not the rest of the country) and she has a diabolical record of incompetence at the Home Office. She has presided over the complete collapse of our border controls. Even despite the incompetent policy making on immigration, Theresa May has allowed our borders to fall into uselessness. On the other hand she has also been responsible for some of the most cruel, inhumane treatment of genuine refugees. She was responsible for the disaster at the Passport Office and for other policies which prevent the partners of British citizens living here unless they earn a minimum amount. These are un-British, cruel and spiteful policies that seem to characterise the mindset of Ms May. She would be a disaster for Britain and for the Tory party. Stephen Crabb is an interesting, young, up and coming politician – and he’s Welsh (which is always an advantage in my book) but he’s a remainer. He cannot be our next PM. Neither can Jeremy Hunt, Nicky Morgan, Justine Greening, Robert Buckland or any other remainer who puts their name forward. It would be an insult, the greatest disrespect to the electorate. Personally I regret that Michael Gove is not standing. Other than his support for the war criminal state of Israel which I deplore, he is, in my view, one of the bright lights in Parliament: fiercely intelligent, a reformer and a skilled media spokesperson. I suspect he may be keeping his powder dry for the next opportunity. 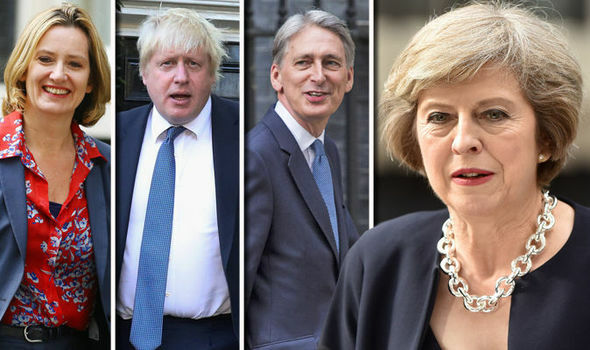 I believe there are only three possible candidates for our next PM: Boris Johnson, Liam Fox or Andrea Leadsom.